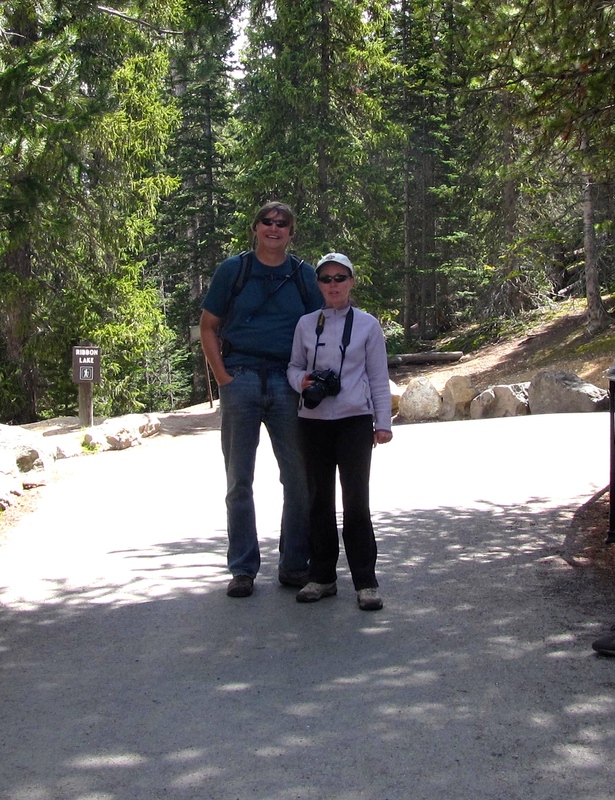 We did a hike of the Grand Canyon of the Yellowstone Lower Falls with our friends Jen & Deas of NealysonWheels led by Ranger Steve. 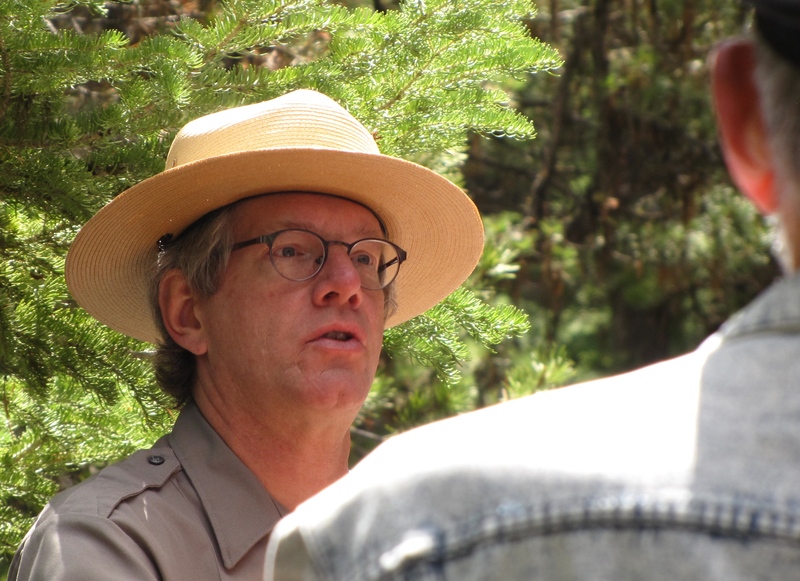 Ranger Steve gave us a history of the Canyon and the discussed the first non-Native American visitors to the Canyon – and Yellowstone National Park- America’s first park and “The National Park” as named by Congress when created. The creation of Yellowstone was heavily promoted (aka lobbied) by the Great Pacific Railroad Company as a destination for tourists and a good use for the railroad. The first government sponsored expedition of the park led by Thomas Hayden – the Hayden Geological Survey of 1871 – Hayden was concerned that the area could face the same fate as Niagara Falls. Hayden compiled a comprehensive report on Yellowstone, which included large-format photographs by William Henry Jackson, as well as paintings by Thomas Moran. 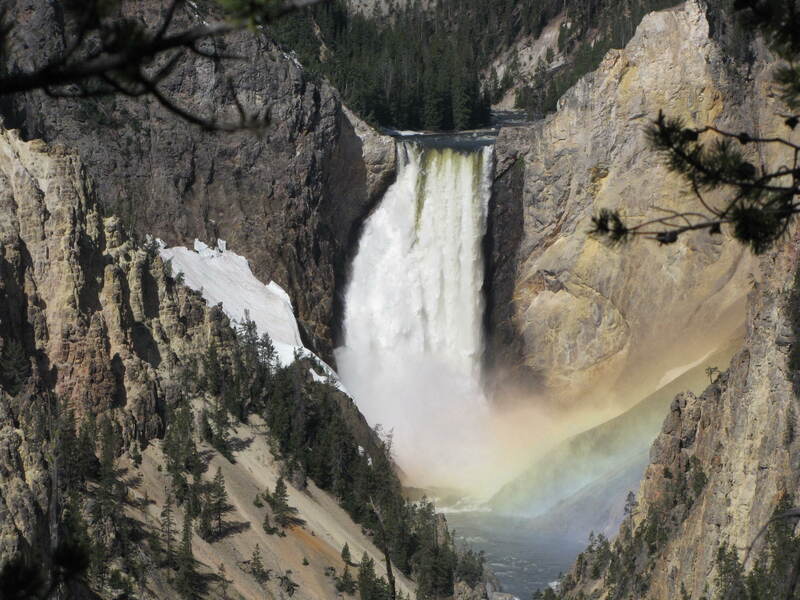 Hayden’s report helped to convince the U.S. Congress to create a the first National park and on March 1, 1872, President Ulysses S. Grant signed the law that created Yellowstone National Park. Steve also discussed the 1988 fire which destroyed 1 793,000 acres or 1,239 sq miles of park land. 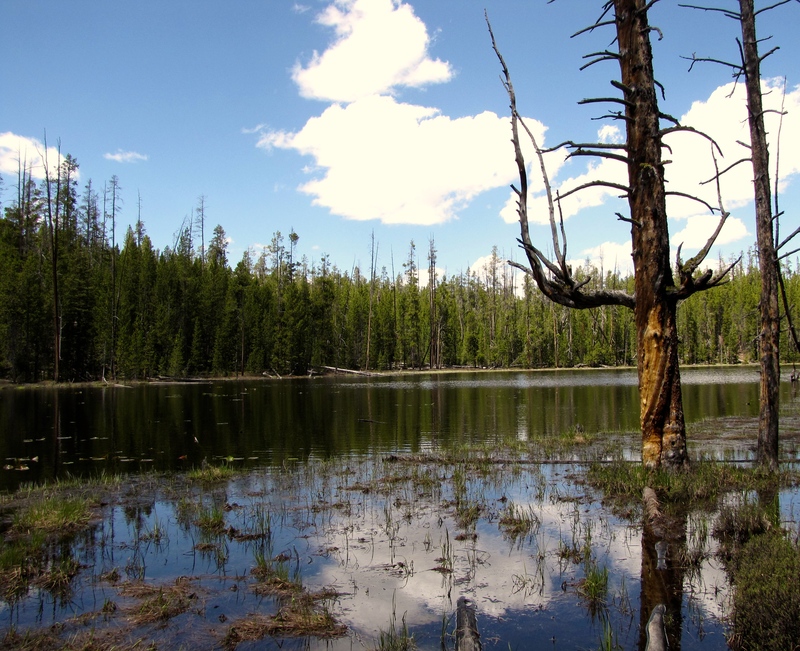 Steve was at the park during this time and witnessed the fire and the next year’s re-birth and re-growth- and witnessed a one square foot of burned land covered with 100s of lodge pole pine seedlings. The Park Service’s treatment of that fire event vilified ins for some time after the fire – and probably are still villains to some. Steve led us to Artist’s point and the dramatic view of the lower falls. We continued on with Ranger Steve as he discussed the wild life in the park. Moose, Bear, Bison, coyote, fox all live in the park and are easily viewed in many areas. 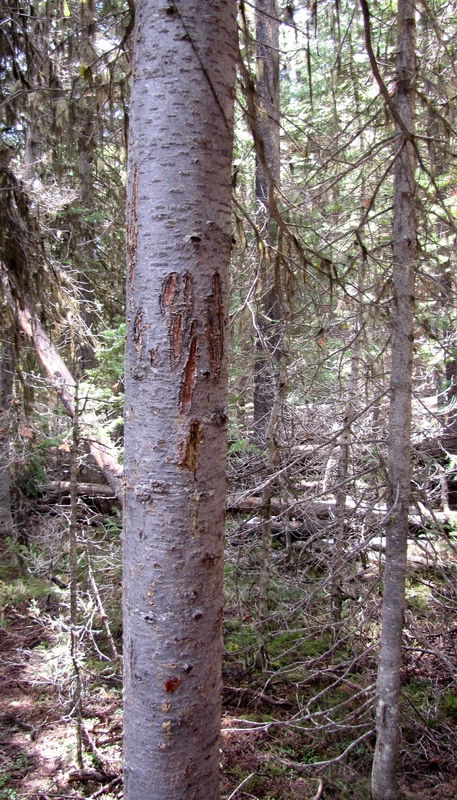 Evidence of bear can be seen on the pines. Uncle Tom’s Trail was unfortunately closed due to heavy snow that had not melted. 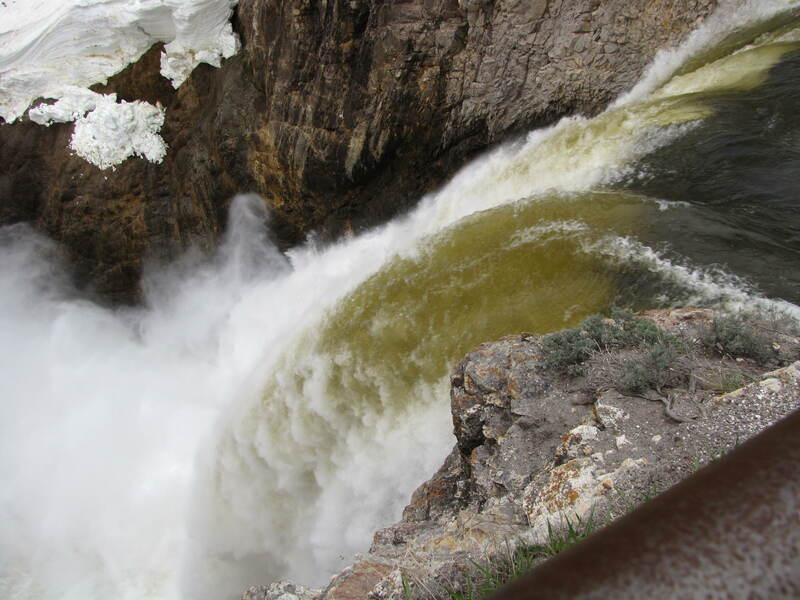 A steep, 300+ step staircase that overlooks the lower falls. 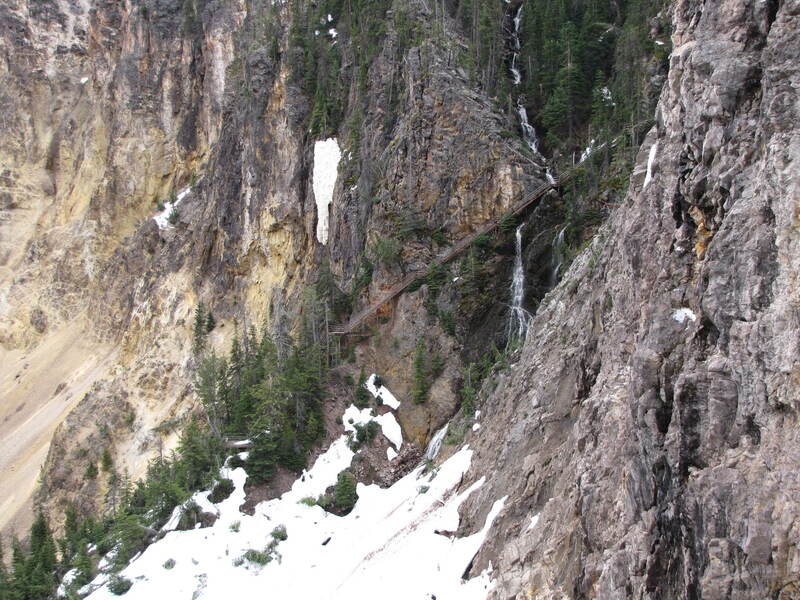 Deas, Donald & I did a hike to Clear Lake A 2 mile hike along the Grand Canyon of the Yellowstone. 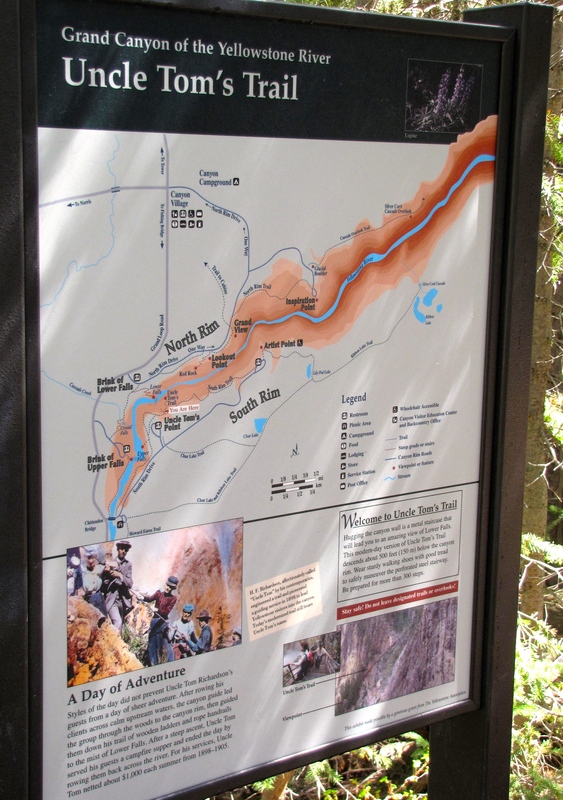 We had a great private hike viewing the Canyon, private thermal features (surprise! 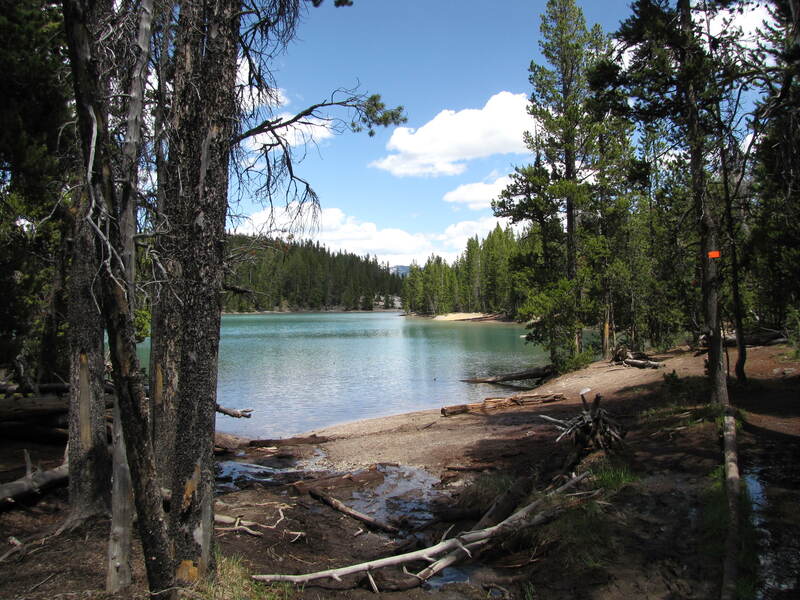 ), open green meadows and a beautiful crystal-blue lake. Gorgeous and a nice surprise. 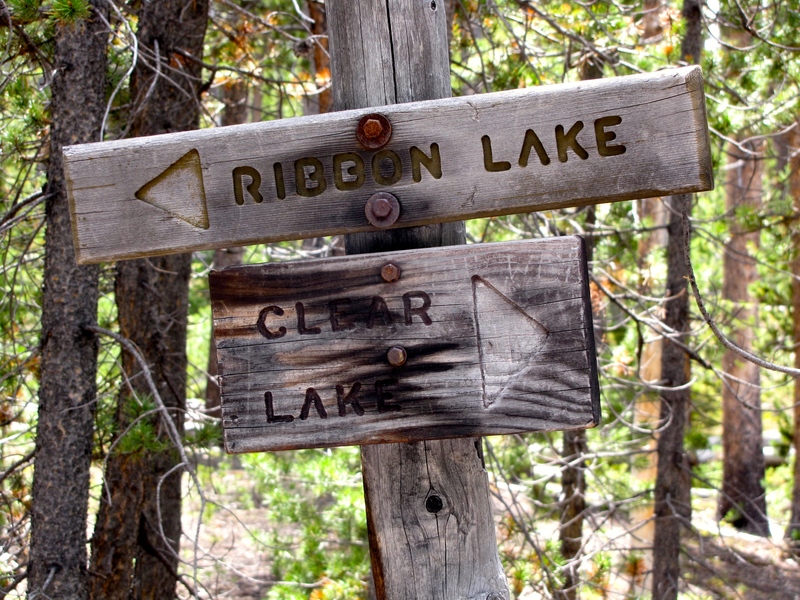 So many great features along this short hike. 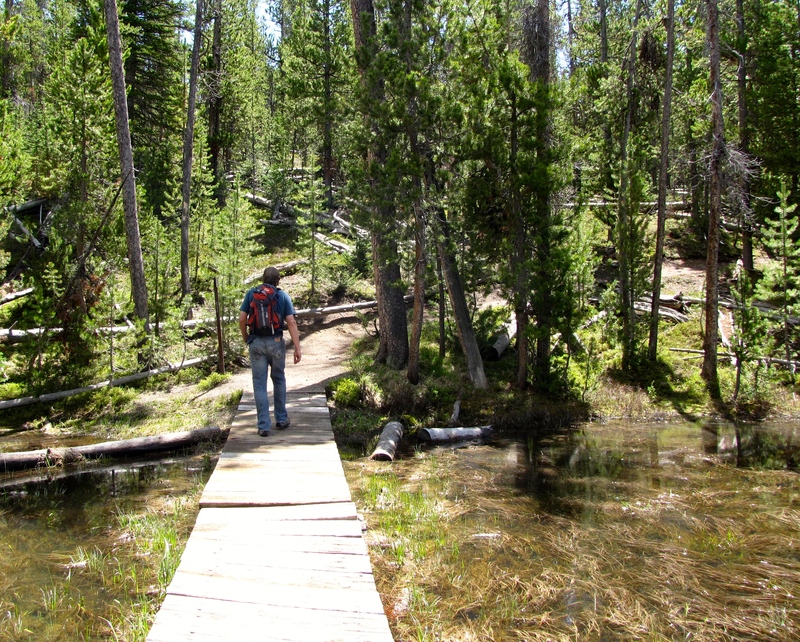 Our own private hike – Yellowstone has its secret, quiet places! 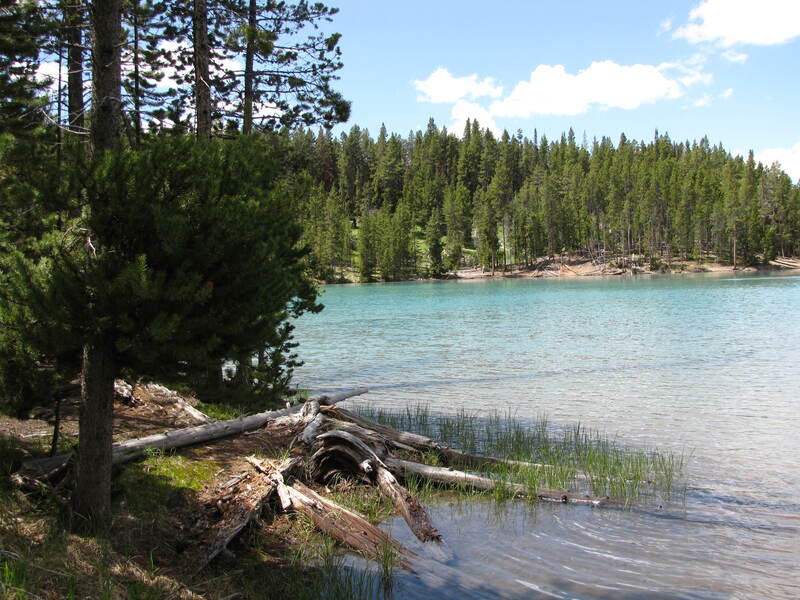 You can find private & quiet in Yellowstone – you just have to look!